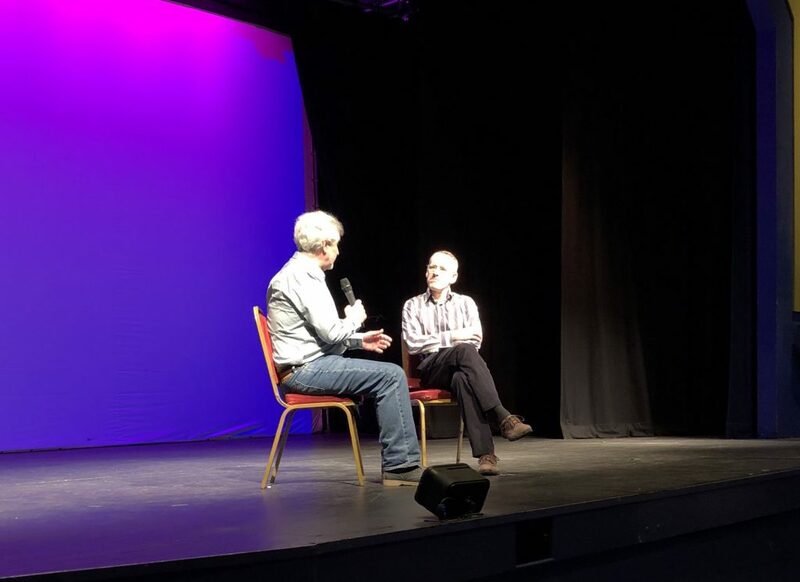 Thanks to everyone who came to see the screening of Archibald Corbett: the Man and the Houses at the Bob Hope Theatre in Eltham in Saturday 14th April. 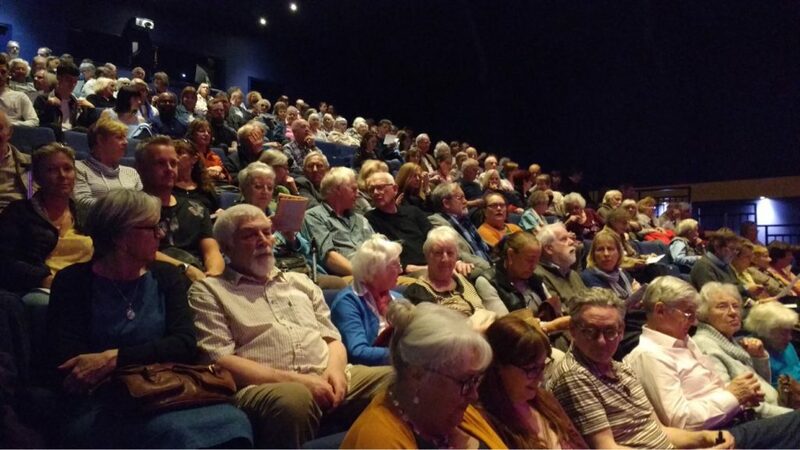 Residents from Eltham packed out the theatre for two screenings in the afternoon, both followed by a Q&A session with the film’s creator, Ben Honeybone. Our thanks to Eltham’s MP Clive Efford, who chaired the session after the second screening. Clive reflected that in Corbett’s time, there was a mission in many people to give back, which we don’t see repeated so much today; and wondered how can make sure capitalism has a social conscience to contribute for the greater good? Several people asked about showing the film more widely, including in Glasgow, which Ben is keen to make happen, and on national television, as well as making DVDs available and publishing online. The film will be available on this website in late May, and DVDs should be available shortly afterwards. There were other questions about finding out more about Corbett’s time – in Catford the Corbett Society is looking into the census for 1911 to look at what everyone was doing, and we are keen to do similar in Eltham and other Corbett estates. Another guest said we should congratulate Lucy Mangan on an extremely good commentary – she was unable to attend the screening as she is promoting her new book Bookworm, but Ben will pass the feedback on. Another guest asked if Corbett had maintained his political colours or if he’d changed allegiance; Ben explained that Corbett started off as a liberal then became a liberal unionist, before switching back later on – but his heart was always in trying to help people.Other questions touched on how we can learn from what Corbett did to tackle our housing crisis today, and the role of the cost of land, as well as specific questions on Corbett houses – did the houses in Eltham have bathrooms originally? Ben believes they were some of the first houses to have those bathrooms indoors – it was a very modern thing to have a bathroom inside. Other questions came up about preserving original features in the houses, and where people can look for advice – we are hoping to have some information on this on the website in the near future, and if anyone would like to be involved please do get in touch. The audience also heard from Gaynor Wingham, who has published a book about the history of Greenholm Road in Eltham called A Hundred years of a London street. Feedback was hugely positive, with many calls for the film to be shown on national television – one resident even gave the film 6 out of 5 stars! Thanks again to everyone who came along, and to all who’ve supported the film.